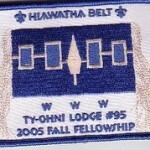 Rob Cunningham brings word of a new event patch from Ty-Ohni Lodge out of Rochester, NY. The concept is similar to the one used for the 2006 Spring Fellowship and the 2005 Fall Fellowship. 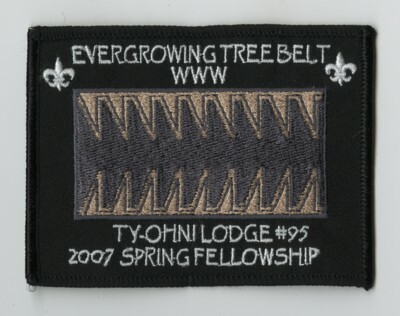 This patch depicts the Evergrowing Tree Belt. eX2007	BLK	R	BLK	WHT	WHT	2007	FDL; WHT Evergrowing Tree Belt, WWW, 2007 Spring Fellowship. 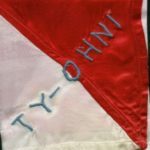 Look Back – Oldest Ty-Ohni Lodge #95 Neckerchief?